I was born and raised in Pasadena and still live there today. I attended La Salle College Preparatory High School and graduated to move on to California State University, Fullerton. 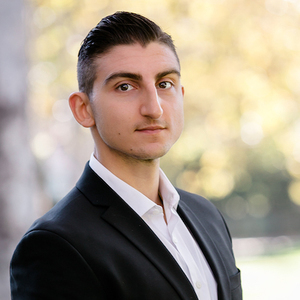 While attending CSUF and working to get my degree, I began my career in real estate by joining Compass on the administrative side of the business. During my first few months working in real estate, I fell in love with the business. The fast paced nature was what initially drew me in, but what kept me interested was the fact that I got to interact with clients on a consistent basis. My passion is being able to work closely with people to help them with all of their needs, and real estate was the perfect vehicle for me to pursue that passion. I received my B.A. in Business Administration with a concentration in Marketing after 4 years and shortly after I pursued an education in real estate. I received my Salesperson's License, and I immediately dove head first into the world of real estate. After joining Compass, I was able to successfully navigate multiple off-market deals in my first year, successfully brokering investment transactions in excess of $25 million. I wake up each morning with excitement and a burning passion to assist my clients in meeting all of their real estate needs.